Bonavendi.com - Use this price comparison engine to compare the buyback prices of more than 20 of the top movie resellers, so you don't have to check each one individually. If you have a lot of items to sell, use their barcode app to scan barcodes -- this will save you from having to type in a bunch of ISBN numbers. Secondspin.com - They're the largest online retailer of used DVDs. Just enter what you have, and they'll tell you if they're currently buying it, and how much they're willing to pay you for it. Ebay.com - If you have newer-release movies or collector's movies (vaulted Disney movies or VHS, for example), consider auctioning them off. This will take a bit more time, since you'll have to photograph and list your movies, then wait for a buyer to come along; but you're likely to earn more money, since there won't be any middlemen resellers involved. Be sure to take your listing fees (and any PayPal fees) into account, before you list your stuff. Amazon - This retail giant allows you to sell used movies of any format, but their VHS marketplace is especially hot at the moment. We're talking make-you-want-to-go-out-and-buy-more-VHS-tapes-to-sell hot. This is another situation where you'll have to wait for a buyer to come along. Decluttr - Type the barcode on the back of your DVDs and Blu-rays into their valuation engine, and receive an offer instantly. If you have a lot of movies to sell, download their free app. It allows you to scan barcodes, instead of typing them -- big time-saver. Local resellers - Check the phone book for movie resellers in your area. Many used book stores also deal in used movies. Kids' consignment sales and Facebook Yard Sale Groups can be a good option, if you have a bunch of recent, G-rated stuff to off-load. And Facebook Marketplace can also be good for off-loading popular movies quickly. If you have a large number of movies to sell, consider listing them as a lot on Facebook or Craigslist. Local vendors who set up at the flea market are always looking for new inventory for their booths. You won't get top-dollar for your movies, if you sell them this way, but you will get them out of your house quickly. 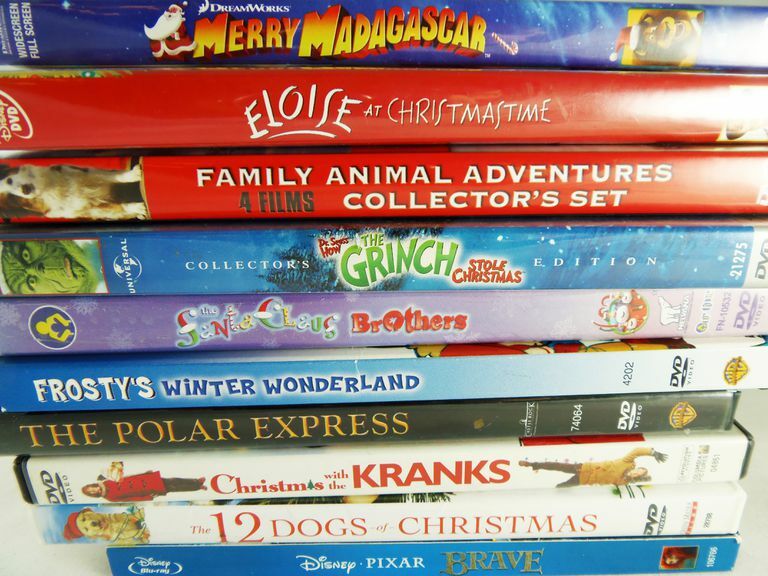 Have a Yard Sale - Put your unwanted DVDs in your next yard sale. They're an easy sell at $1 a piece. Donate whatever is left at the end of the day. Then, find a use for all that new shelf space. Don't pay to ship your items. Reputable movie resellers will pick up the shipping costs. Offers vary from reseller to reseller, so check with a few before you decide whom to sell to. Be up front about the condition of your movies. If the disk is all scratched up, don't bother trying to sell it. It'll just get rejected by the seller when they receive it. Universal Studios and some other studios offer low-cost replacement for disks that have been scratched or broken. It may be something to look into. You must have the original case and artwork to sell used moves to resellers. They'll reject any movies that arrive without these things. If you used a service like Vudu to do a disc to digital conversion, or you have a movie that came with an UltraViolet copy, know that selling your original copy of the movie after you've converted it may not be such a hot idea. While it's still very much a grey area, selling the actual physical copy of a movie could be interpreted as breaking the licensing agreement or copyright law because you still retain a digital copy of the movie. This means two separate households have access to the movie -- one through the disc and one through the digital file -- and that's not what the studios intended. The law has some catching up to do on this issue, but it's probably best to stay clear of this problem. If you don't want a bunch of movies taking up space in your home, switch to buying digital files. They don't require shelf space or dusting, or leave you treading in murky resale waters.